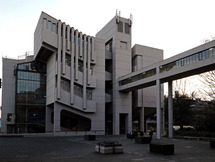 The Roger Stevens Lecture Theatre, grade II listed in 2009, is the centrepiece of the complex of buildings designed by Chamberlin, Powell and Bon between 1958 and 1968 for the Leeds University campus. 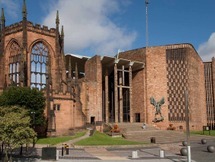 From 1960-1970, as the post-war generation grew up, Britain saw a great expansion in..
Sir Basil Spence is famous for his striking modern design for the rebuilt Coventry Cathedral. The original medieval cathedral was destroyed by the Luftwaffe on 14 November 1940 in an air raid code-named “Moonlight Sonata”. The attack targeted Coventry's industry, but it was clear that collateral.. This is a historically important structure and symbolic of changes in British society since it was built. 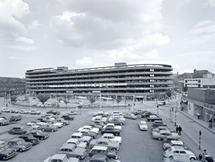 Today, Lee Circle car park appears totally unremarkable to the casual observer, but the Tesco store and car park that opened there in in 1961 was a pioneering experiment, noteworthy for many..
Castle Market was built in stages between 1959 and 1965, and was designed by J. L. Womersley and Andrew Darbyshire, who also designed Park Hill flats. 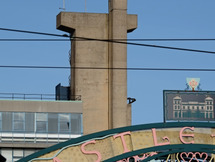 It was named after Sheffield Castle, which was almost entirely demolished in 1648 but the remains of the 13th century foundations were still..
Now What?! 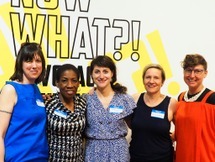 was curated by Andrea J. Merrett, Roberta Washington, Sarah Rafson and Lori A. Brown at the Pratt Institute Liaison and exhibition designer. Now What?! is the first exhibition to examine the little-known history of architects and designers working to further the causes of the civil.. The Museum of Contemporary Art, Los Angeles (MOCA) is a contemporary art museum with three locations in greater Los Angeles, California. 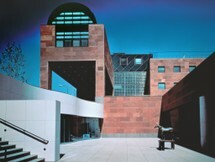 The main branch is located on Grand Avenue in Downtown Los Angeles, near the Walt Disney Concert Hall. 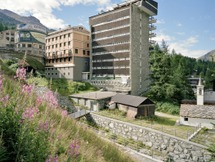 MOCA's original space, initially intended as a..
Carlo Mollino's Hotel The House of Sun represents a contrast to the existing archetypal mountain village. The building was developed as an idea of a “vertical village” and composed in this tall 9-storey concrete building with its protruding façade and hanging terraces. The hotel dominates the..
F.A.T. stands for forum for architecture theory. 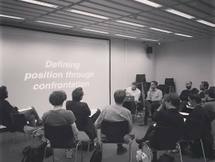 It is a horizontal teaching-learning program based on an open debate about fundamental topics concerning architecture. Its purpose is to allow emerging architects to define their own position through confrontation. It focuses on a specific topic..